Home / Gossip / Salman Khan / Tabu / After Priyanka Chopra and Tabu, now Tabu joins Salman Khan’s Bharat! 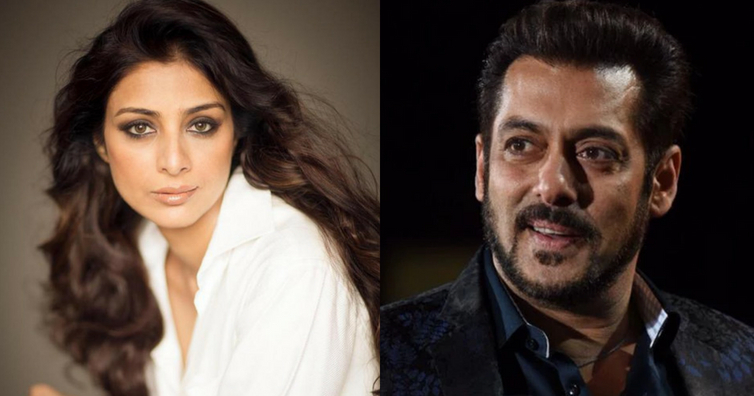 After Priyanka Chopra and Tabu, now Tabu joins Salman Khan’s Bharat! After Priyanka Chopra and Disha Patani, veteran actor Tabu is all set to join Salman Khan in his upcoming film Bharat. As per reports on Mumbai Mirror, the actress has come aboard Bharat to play a significant role. It will be the fifth time that Salman and Tabu will be seen working together. The two have previously worked in films like Jai Ho, Biwi No.1, Hum Saath – Saath Hain and Jeet. Bharat will be an onscreen adaptation of 2014 South Korean movie Ode To My Father. This will mark the director and Salman Khan’s third collaboration and Priyanka’s fourth film with the 52-year-old superstar. Bharat will be shot across locations in Abu Dhabi, Spain, Punjab and Delhi and releases on Eid next year.